The Oneida Nation made it through the 35-day federal government shutdown that ended January 25, and according to Self-Governance Coordinator Candice Skenandore, it’s making plans in case there is a second federal government shutdown starting February 15. “We don’t know what’s going to happen, if they’re going to have a deal by 15th or not, so I’m encouraging the self-governance programs to go ahead and prepare like we’re not going to be receiving the funding,” said Skenandore. The Oneida Business Committee (OBC) met with department heads to get information on the impacts of the shutdown on Tuesday, February 5. They hope to use the information to ask Congress to change how tribes are funded during government shutdowns. 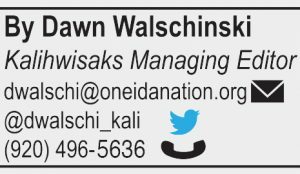 Oneida receives over $20 million from Indian Health Services (HIS), yet that only covers 44% of the nation’s medical expenses. “We need to make up the other 56% either through third party reimbursement, through tribal contribution, some alternate resource,” said Skenandore. A study released in December 2018 by the US Commission on Civil Rights backs up the claim that tribes are underfunded. “It talks about how tribes are the bottom for health disparities and yet they’re the least funded,” said Skenandore. Indirectly, Oneida was impacted by federal workers being laid off during the shutdown. “A lot of the federal employees that we work with day in and day out were furloughed. So, we weren’t able to start on projects, we’re waiting for approvals and reviews,” said Skenandore. 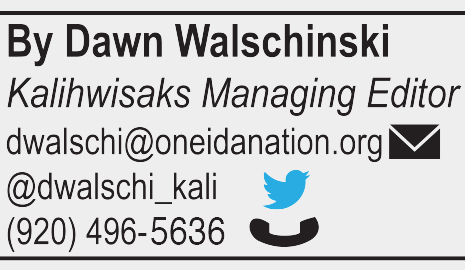 This affects the Oneida Nation’s ability to make plans. It also affects individuals who are buying and/or selling housing on the reservation according to Oneida Comprehensive Housing Division Director Dana McLester. “HUD has actually stopped their Section 184 program right now, so for home purchases that’s going to affect the HIP program, and any purchase that go through our area,” she said. The Oneida Nation has received its funding from IHS through March. Food Distribution has a three- month supply of food but could potentially see layoffs for its workers. There’s also concern about what would happen if the Supplemental Nutrition Assistance Program (SNAP) runs out of funds. “We’re going to start pushing for donations (for the Oneida Emergency Food Pantry), because there’s about 500 families that use that SNAP program,” said Skenandore.